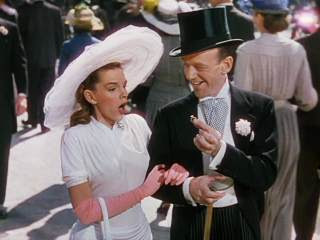 Easter Parade, the 1948 musical starring Judy Garland and Fred Astaire, is just your typical fluffy musical to come from the Golden Age of Hollywood. Garland stars as Hannah Brown, a plain girl who stumbles upon Astaire's Don Hewes. He offers her a life of fame and fortune when he needs to find a new dance partner. But can this girl who knows nothing about fame make it big on the stage? This also stars Peter Lawford and Ann Miller, and is directed by Charles Walters. Great choice for your #100. 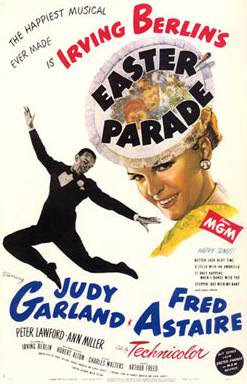 I love Easter Parade. In fact, it's my favorite musical of all time. I totally agree, I love it a lot.